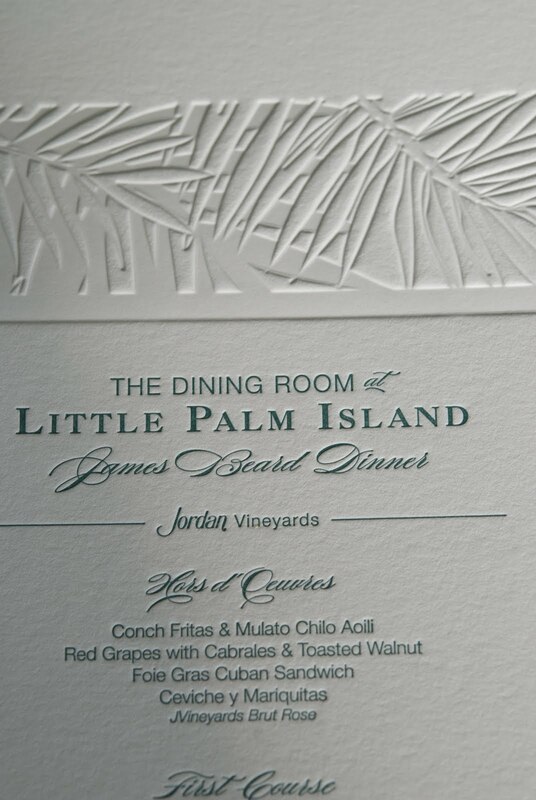 Subtlety can have a big impact in print. 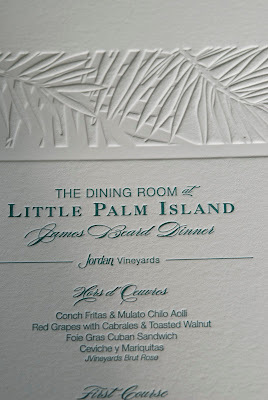 James Beard utilized sophisticated detail to make this special occasion menu stand out. 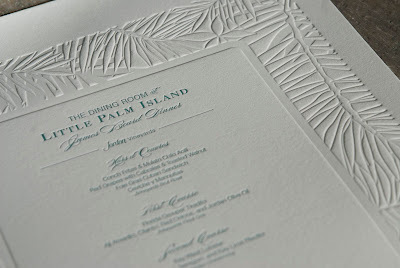 The palm border was created with a blind deboss which adds varying degrees of dimension and detail, and is combined with letterpress in a cool teal shade to add the feel of tropical elegance. 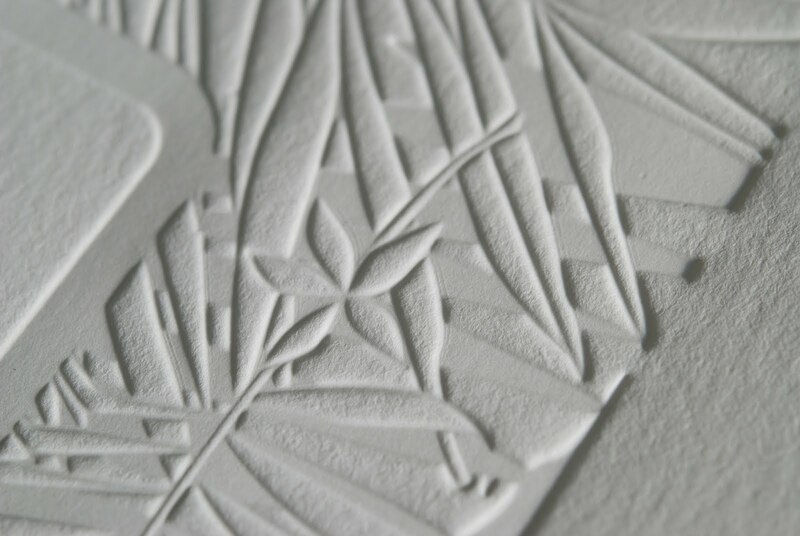 We chose 118# Savoy Natural White for this piece for its softness and malleability. 100% cotton makes this paper a great medium for the impression of deboss and letterpress.